Profiled in the new issue of Paper Mag! "Sustainability is at the core of Brooklyn-based designer Titania Inglis' eco-friendly, experimental, eponymous line. 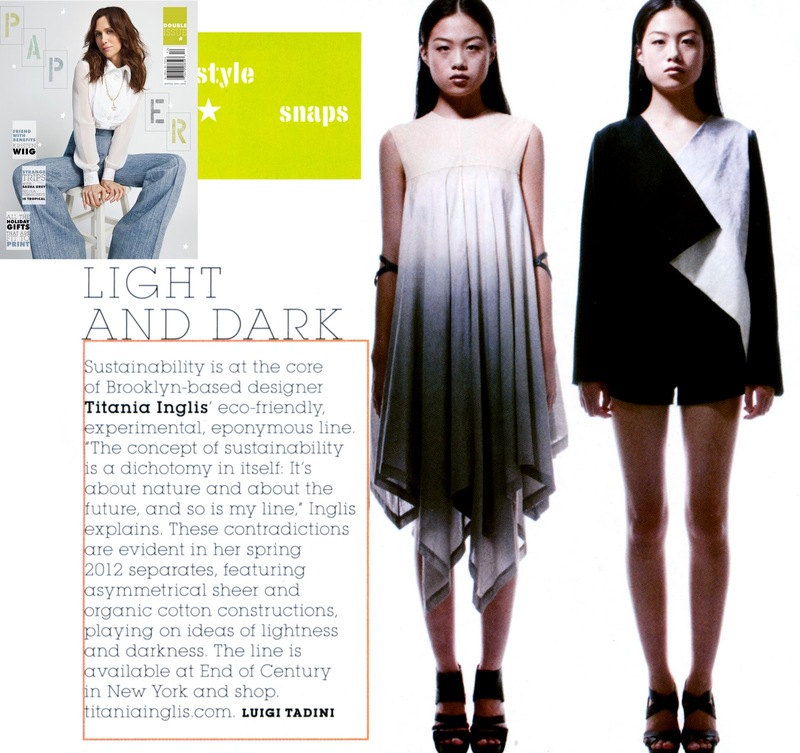 'The concept of sustainability is a dichotomy in itself. It's about nature and about the future, and so is my line,' Inglis explains. These contradictions are evident in her spring 2012 separates, featuring asymmetrical sheer and organic cotton constructions, playing on ideas of lightness and darkness. The line is available at End of Century in New York and shop.titaniainglis.com."